Cortical dysplasia (CD) is a malformation of brain development characterized by aberrant lamination of the cerebral cortex, pyramidal cell misorientation, and in severe cases, the presence of dysplastic cytomegalic neurons and balloon cells (Taylor et al. 1971). 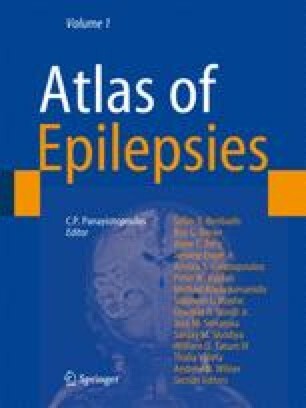 In children undergoing epilepsy neurosurgery, CD is the most frequently identified etiology accounting for over 40% of cases (Harvey et al. 2008). In fact, CD is found in approximately 70% of epilepsy surgery patients operated in the first 2 years of life. The authors would like to thank the young patients and their parents for allowing use of resected tissue samples for research purposes. We also thank Raymond S. Hurst, Jorge Flores-Hernández, Elizabeth Hernández-Echeagaray, Nanping Wu, Irene Yamazaki, and Marea K. Boylan, for their assistance in electrophysiological data collection and morphological analyses. The expertise and dedication of the UCLA Hospital Pediatric Neurology Staff are also greatly appreciated. This work was supported by NIH grant NS 38992 from the NINDS.